In Michigan, it has been dreary, without any snow. I needed a little pick-me-up of color! 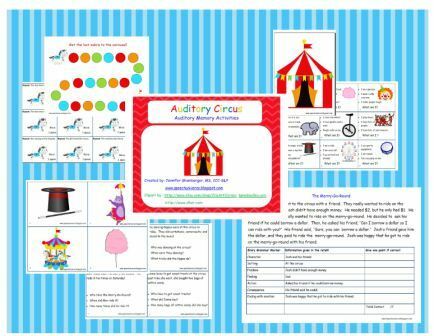 I made Auditory Circus to target auditory memory for sentences, riddles, and stories. 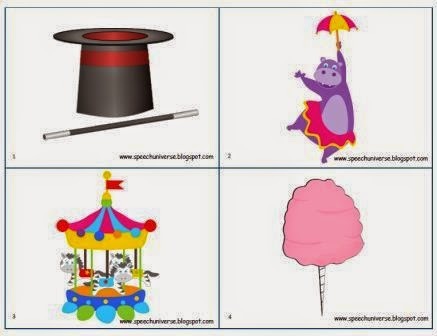 This activity pack contains four different activities. 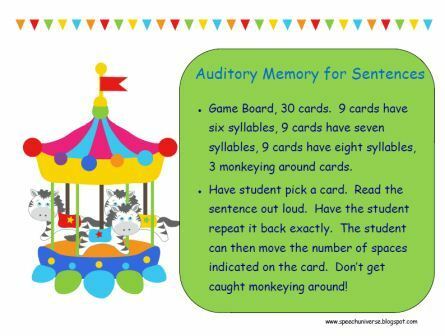 The first one is Auditory Memory for Sentences. 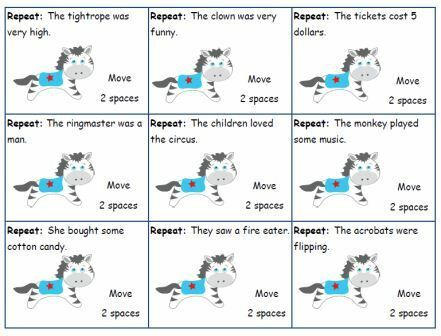 I have a few students with ASD who really benefit from repetition of auditory sentences of increasing length. They have done really well with this activity. 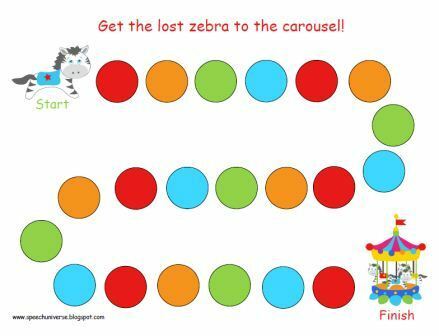 There is also a game board included with this activity that could really be used as a reinforcer for any card based activity that you are working on. 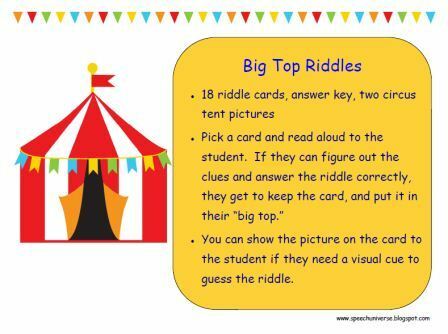 The second activity is Big Top Riddles. 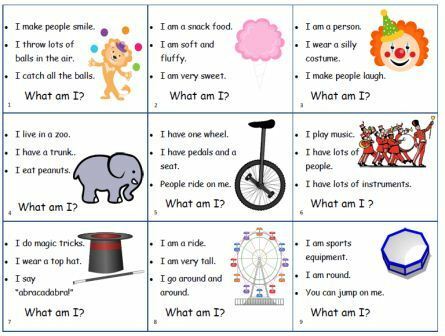 Students listen to three clues, and have to guess what the item is. If they get it correct, they can keep the card and put it on their "big top" mat. 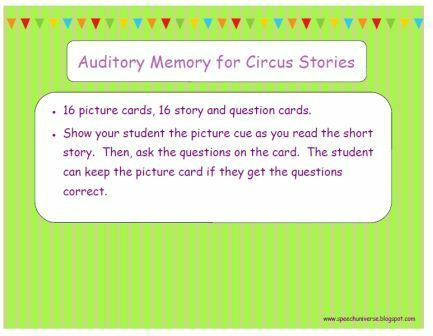 The third activity is Auditory Memory for Circus Stories. 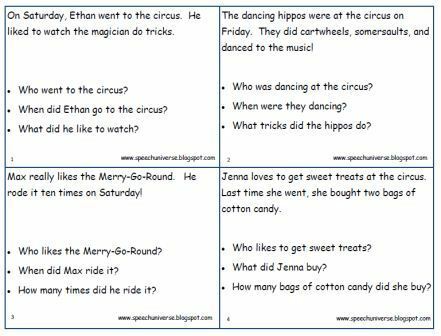 These are two to three sentence detailed stories with three questions for each story. ***Updated 10/20/2014: I have updated these cards to include pictures that can easily be printed on the back of the story cards. Simply choose print both sides of the paper, and they should line up. Make sure to check your printer settings to see which side of the paper is flipping. You could also print one page at a time, and simply flip the paper over to print the other side. 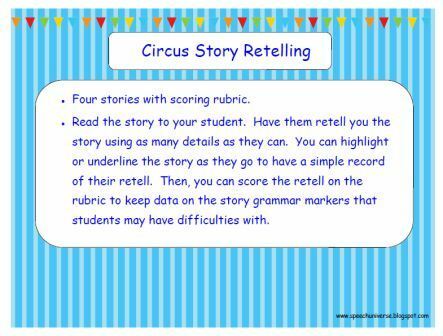 The final activity is Circus Story Retelling. 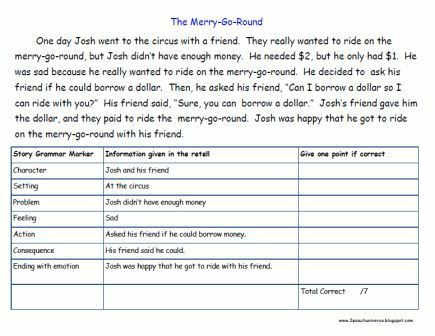 In this activity, students are asked to listen to a very structured story that contains a character, setting, problem, feelings, action, consequence, and ending.